The first wave of major development in the Fulton Market neighborhood is coming to an end, but a new one is just beginning. Sterling Bay set off the development explosion when it bought 1000 West Fulton, a cold storage building that towered over the once-industrial area west of the Loop, in 2012 for $12M and by 2015 transformed it into 1KFulton, the regional headquarters of Google. The influential tech firm’s arrival signaled that Fulton Market had become a true office submarket. “That gave everyone the green light,” Skender Vice President Clayton Edwards said. 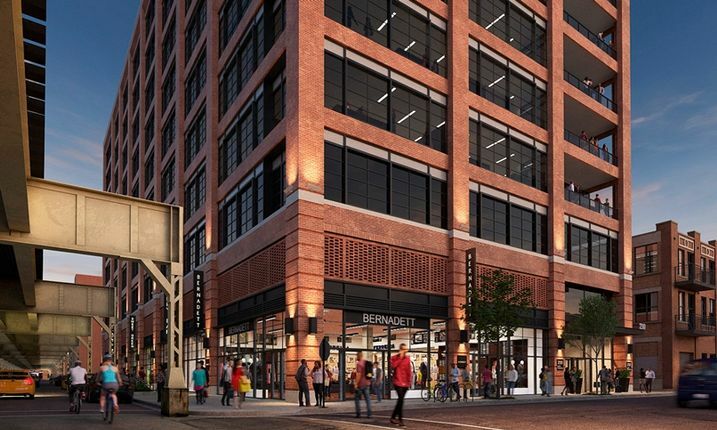 His firm recently built out a number of Fulton Market office spaces, and Edwards will be a featured speaker at Bisnow’s State of the Office event Feb. 14, which will explore what the future holds for the West Loop. Developers renovated many of the industrial loft buildings around 1KFulton, which were quickly populated with creative users. Much of that renovation work is done, and developers have now kicked off construction on a set of new office towers, including ones built on spec, that will continue the neighborhood boom by placing more traditional users alongside Fulton Market’s creative and high-tech pioneers. McDonald’s decision to abandon its suburban Oak Brook campus in favor of a new 490K SF Fulton Market office building developed by Sterling Bay late last spring was a signal, from an iconic traditional business, that the neighborhood was seen in a new light. Continue reading the full article at Bisnow.